Escalate or scale back in Afghanistan? 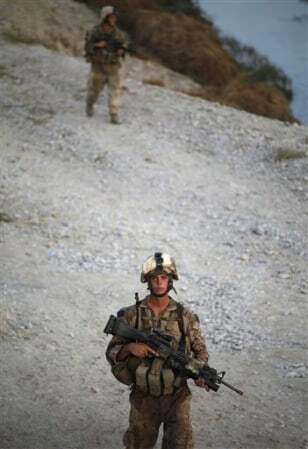 U.S. Marines from Bravo Company, 1/5 Marines, 2nd MEB, on patrol in Helmand province, southern Afghanistan, on Monday. A top general says that ultimate success in Afghanistan requires overcoming the insurgency and a "crisis of confidence" among Afghans in their government.